For a small nation with a has-been imperial past, British rulers appear to still suffer from the delusion of strutting around the globe as if on a high horse. Now less of a splendid steed and more like a broken-down hobby horse rocking on its overblown pretensions. Senior British government figures are reportedly due to visit Moscow in coming weeks, supposedly to normalize relations between the two states. But given the haughty attitude expressed this week by the British government towards Russia it does not bode well for an improvement in diplomatic ties. 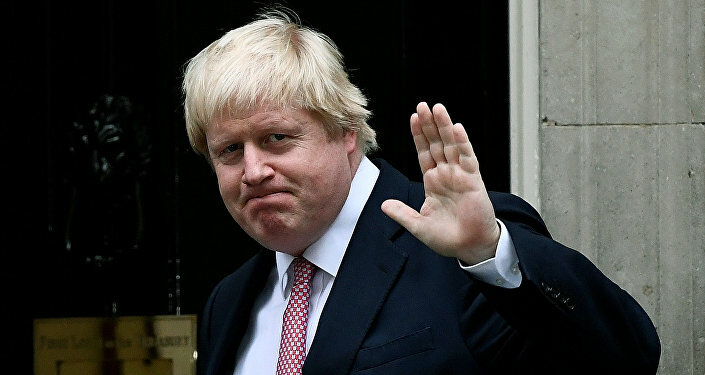 Britain's foreign secretary Boris Johnson and defense minister Michael Fallon were telling media reporters of the agenda they would be bringing to Moscow. Russia, they said, will have to "keep its nose" out of European elections and show that it "can be trusted." Johnson and Fallon trotted out a litany of alleged Russian transgressions, without providing a scrap of evidence to substantiate. Just haughty assertions articulated with the usual irritating British accent of self-assuredness. Supposed transgressions ranging from plotting a coup in Montenegro, destabilizing the Western Balkans, and hacking into the US elections, as well as those of Germany and other European states. "The Russians are up to no good," asserted Johnson to reporters with his inimitable buffoonery and bombast. While the equally supercilious Fallon added: "There is a growing body of evidence now that there has been a step-change in Russian behavior and Boris will leave them in no doubt as to our firmness on that." Funnily enough, the British ministers didn't see fit to detail what this alleged "growing body of evidence" was. Earlier, last month, British defense secretary Fallon accused Russia of "weaponizing misinformation" and of trying to "destabilize NATO." To which the BBC quoted the Kremlin as saying in cool and measured response: "We're very disappointed that minister Fallon is so aggressively disposed; we are sure that such an accusation against our country is unfounded. We don't see how a minister that has such a senior post can carry out such unfounded accusations that are based on nothing at all." Or in short, this British senior cabinet member is an unprofessional dolt. The Kremlin added graciously: "We hope that in time, Great Britain will in some way take a constructive approach that will lead to a normalization in relations between our two countries." That, in essence, is the problem, as Russia calmly pointed out. British politicians are evidently stuck in a Cold War mindset, whereby Russia is cast as some kind of geopolitical miscreant. How is it possible to normalize relations when Russia is viewed with such pejorative contempt? Another germane problem is Britain's political culture of overweening arrogance and hypocrisy. So, Britain's foreign secretary Boris Johnson is coming to Moscow to see "if Russia can be trusted" and to "show our firmness." What utter British arrogance. 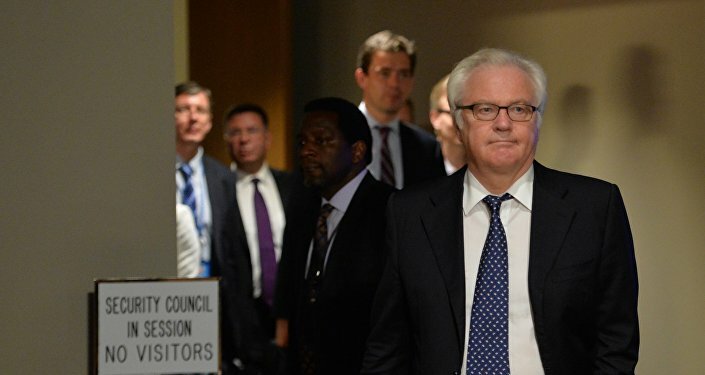 Before his untimely death last month, Russia's ambassador to the United Nations Vitaly Churkin would often remind his British and Western counterparts of their own states' criminal depredations from illegally interfering in the affairs of foreign countries, from wars in Iraq and Libya, to covert regime-change operations in Syria and Yemen. It is incredible, not to say nauseating, to hear Britain accuse Russia of "aggression" in Ukraine, when it was Britain and other NATO members that plunged that country into the abyss of violence with their support for the coup d'état in Kiev in February 2014. It was Russia's diplomatic intervention in Ukraine that produced the Minsk accord to settle the conflict, but which has been continually undermined by American and British support for the Kiev regime and their Neo-Nazi brigades in their onslaught against the people of eastern Ukraine. British troops are instrumental in the unprecedented build-up of NATO forces in the Baltic states and other eastern European countries bordering with Russia. And yet British ministers talk of Russia "needing to show that it can be trusted." A normalizing of relations between Western powers and Russia is indeed urgently needed to avert the catastrophic dynamic of military tensions. Britain's top diplomat Boris Johnson this week said that the West did not want a new Cold War with Russia. "We are not in a new Cold War with Russia," said Johnson. "Neither in the UK, nor our friends in the rest of the EU, nor in Washington, is there any appetite for a new Cold War." Well, if Britain wants to avoid a new Cold War, then it should halt immediately from making unfounded, provocative accusations against Russia, alleging that it is "up to no good." Britain and other NATO members should stop winding up unnecessary tensions in eastern Europe with hysterical claims of "imminent" Russian invasion. Attaining normal relations with Russia, if that is what Britain truly wants, is not possible based on one side's reckless slandering of the other with unfounded claims. Especially when that side – Britain – is guiltier than any other in inflicting transgressions against international law. This is not about engaging in moral relativism. It is about British authorities coming to terms with their own past and present egregious violations of international law. Their illegal war in Iraq caused over one million deaths; their ongoing material support for Saudi Arabia's bombing of Yemen is causing millions of children to be starved there. How can any nation with such blood on its hands dare to lecture others over alleged violations, and based on such little evidence? The trouble with Britain is that not only are its ruling politicians stuck in the old Cold War of demonizing Russia, they are stuck in an even more distant era of empire when Britain ransacked and raped the globe out of some kind of pernicious superiority complex. In today's multipolar world, international relations need to be negotiated on the basis of equality of nations. British politicians coming to Moscow riding on high horses of self-righteousness and moral superiority belong to a bygone era of empires and serfs. It is not going to work. And if Britain persists in such delusions of grandeur, it is in for a rude awakening. Little Britain needs to get off its hobby horse and walk like the rest of us. But don't hold your breath for that to happen.